Our society has become blind to the intellectual capital of thinkers like Phule. Note: April 11 is the birth anniversary of Jyotirao Phule. B.R. Ambedkar’s fascination with Jyotirao Phule goes beyond the fact that he considered him a guru. Ambedkar, recognising the intellectual legacy of Phule, wished to project him on to the national scene. More particularly, Ambedkar may have been influenced by Phule’s radical anti-caste movements, his uplifting of the conditions of peasantry and his liberation of women. Indian society is in a state of flux today – the way it was during the time of Phule (1827-1890). Issues surrounding caste, inferior status of women, the pathetic condition of farmers are all problems that continue to haunt India since colonial times. And so continues the country’s quest to break from these chains of oppression, mental slavery and subjugation. In today’s time, we must revisit the thought and ideology of an indigenous thinker like Phule. Such an attempt, it is argued, has the potential to (re)interpret our contemporary social reality. As an iconic and revolutionary intellectual from Maharashtra, Phule’s organising principles were both inclusive and dichotomous. He addressed streeshudraatishudra (women, OBCs, Dalits and tribals in today’s vocabulary) as one category which was dichotomously fighting against Brahmanical supremacy (he rarely used the word Hindu or Hinduism. He preferred Brahmanism instead). He called it brahmanache varchaswa or brahmanvarchaswadi in Marathi. Moreover, Phule was the first intellectual to realise that Brahmanism did not necessarily mean exclusively related to the Brahman caste, but a kind of ideological, religious (dharmic) (super)structure that perpetuates and naturalises the exploitation of the majority. Phule sought to reform his society through revolutionary means. His renaissance desire for societal transformation was a break from his contemporaries. With the establishments of Prarthana Samaj, Poona Sarvajanik Sabha, Brahmo Samaj and Arya Samaj in Maharashtra and elsewhere, Phule’s contemporaries were trying to reform Hindu society by remaining within the sacredness of the Hindu fold – a hallmark of the first-generation Indian renaissance thinkers. Also read: How Do I Refrain From Using ‘Dalit’? Phule did not break entirely from this tradition but he did not believe in the sacredness of Hindu religion either. Staying within the Hindu fold, Phule’s intellectual faculty first attacked the twin concepts of dharma and caste – the central pillars of Brahmanical supremacy. And this attack was in full – not in bits and pieces like that of his half-hearted contemporaries. According to him, the best way to deal with this repressive structure was to oppose it completely and dilute its sacredness. He decoded that Brahmanism derives its legitimacy from its sacred texts and that, in turn, rely heavily on the avatarkalpana (imaginative incarnation). In his book titled Gulamgiri (Slavery), Phule debunks different Brahmanical godheads. With such writings, he attempted to provide an intellectual and ideological foundation for a sustained critique of the caste system. Phule’s writing is not history in the normative sense. For him, history writing was not truth-writing but a mere utilitarian device for the subversion, debunking and destruction of the established truth(s) perpetuated by the Brahmanical supremacy. However, devastating criticism was not the only weapon in Phule’s armoury of social reform. He also attempted to reform the streeshudraatishudra from within. The establishment of Satyashodhak Samaj (the society of truth seekers) in 1837 was a crucial step. It reflected Phule’s intellectual rationalism where the primary emphasis was on ‘truth-seeking’ by positioning the individual at the centre. The other vital mandate of the samaj was to conduct ‘religious’ ceremonies sans Brahman priests and to compulsorily educate the next generation. When the orthodox of the times charged that the samaj could not be called a religious body because it has no religious text (dharmagranth) of its own, Phule wrote Sarvajanik Satya Dharma Pustak (Book of the Public Religion of Truth). As an alternative, the emphasis of Satya Dharma was again to outset the Brahman from his overriding position. Phule’s concept of dharma was rather simple and unambiguous. For him, it was a platform of passionate equalitarianism minus any discrimination. Further, Phule clearly saw the role of dharma and caste in the production relations of Indian society. Phule lays bare these production relations with his careful investigations of the peasants’ questions in colonial India. He is perhaps the first Indian intellectual who made agriculture – its process and production – a major concern for his thought experiment. His book Shetkaryacha Asud (The Cultivator’s Whipcord) familiarises us with the graphic description of farmers’ conditions – their hungry bellies, rag-wrapped bodies coupled with the continuous harassments from moneylenders. He recommended the active role of the state in agrarian policies; the need for soil conservation, rain harvesting and building of bunds (bandhara); usage of advanced technology for cattle breeding and specific professional education for peasants and their children etc. so as to relieve peasantry from its miserable condition. However, as a pre-industrial thinker, the glaring limitation of Phule’s agrarian scheme is that he understood peasantry as a monolithic category. Another area in which Phule contributed immensely is India’s gender question. He invariably linked the liberation of women with education. He himself taught his young wife Savitribai. Later, with her and some liberal associates, Phule opened a string of schools from 1848-1855, including a special school for all caste girls. He was a staunch advocate of widow remarriage and a front-runner for child adoption. The Phule couple themselves adopted the son of a Brahman widow. He openly defended Pandita Ramabai’s decision to convert to Christianity and Tarabai Shinde’s polemical monograph Stree Purush Tulana (A Comparison between Women and Men), amidst Brahmanical orthodoxy. Gail Omvedt makes an interesting observation that Phule does not use the common salutation of manoos (human being) but rather streepurush (women and men). By using such a salutation, Phule challenges the subsumed status of women within men. The word streepurush accentuates the gendered differentiation and pleads for the quest of equality at the same time. Further, he did not make any distinction within the category of stree (women) – stressing the fact that a Brahman woman is as much prone to gender discrimination as of any other caste. 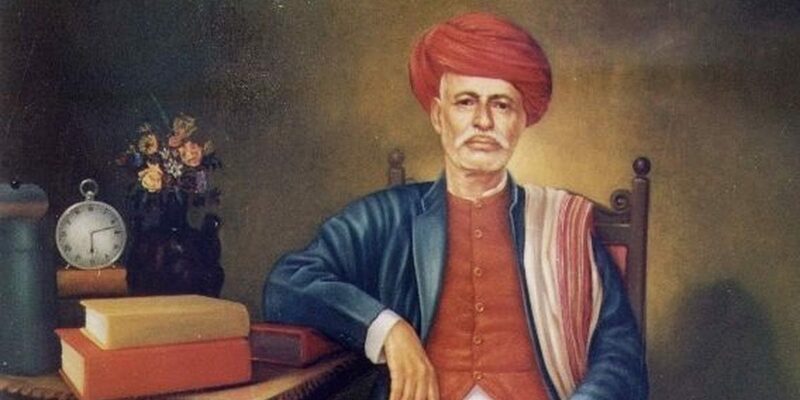 Phule’s intellectual heritage – which sowed the initials seeds of India’s social revolution – remains unfulfilled even today. More than a reformer, he was an architect of ideas. By building an alternative system of ideas he attempted to decode the nuances of our social reality. The questions that bothered Phule continue to haunt us today. Perhaps with greater intensity. There is an immediate need to engage with Phule in a way we have never before. The author wishes to thank G.P. Deshpande (1938-2013) for suggesting changes in an earlier draft of this article in 2011 and sharing his own unpublished article then titled ‘Varna/Class in Jotirao Phule’s Discourse’. This is an abridged version of that paper. Umesh Kumar teaches English studies at the Department of English, Banaras Hindu University.